Follow Chesha Cat's board Weird Austin TX on Pinterest. A little about cowboy hats, freetail bats, UT stats, herding cats, and the Culture of the Weird Austin Texas is known for. Keeping it Weird in Austin TX! Now that we're nearing Autumn, we've reached temperatures we call "cooling off" -- but if you're from the Northern Hemisphere's so-called temperate zone, how are you handling the weather here? Here are some quotes on what the weather's like here in Austin TX: US General Philip Sheridan, when stationed in the area during the Reconstruction period after the Civil War, is famous for saying "If I owned Texas and Hell, I'd rent out Texas and live in Hell." A recent Twitter request to finish the question "Austin's hot as...?" brought: "-- a check from Bernie Madoff!" 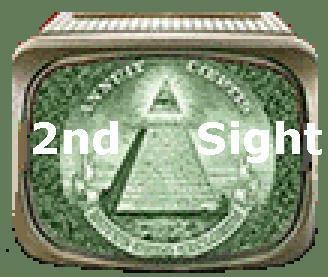 "-- two rats f#*$ing in a wool sock!" "-- the hinges on the door to Hell!" "-- a Texas mom when her daughter fails her cheerleading tryout!" "-- a fire ant mound out by the curb!" "-- the devil's armpit!" "--grandma's biscuits! (or tamales!)" "--fish grease! (I don't get that one)" "--a laid off worker's temper as they update their resume!" And my favorite: "It's so hot in Austin, I saw two trees fighting over a dog!" But there's another Texas saying that's supposed to be reassuring: "If you don't like the weather here, just wait a minute." Go from Wookie to Woo Hoo! The Weather Here Is Hot, and You Can Be Too! Undo the effects of the Texas sun on your skin. Schedule time to pamper yourself under the gentle and effective care of Shannon Young, licensed Esthetician. She treats women and men, young and old; everyone can rejuvenate and maximize their natural good looks with face and body waxing, facials, peels, and other effective treatments which can bring out an inner healthful glow! She can make your skin feel soft, supple, and young again. Having a wedding or attending a special event? She'll come to you to help you prepare for your special day, and prepare your entire party as well. In addition to skin treatments, she can do lash extensions and transform your look with make-up. Looking for an make-up artist or temporary personal assistant for a film, concert, or modelling shoot who will be discreet and keep your business confidential? Shannon has done makeup and skincare for many celebrities and models here in Austin and on location. She's modelled and acted professionally herself and knows through experience how to give you expert treatment under time constrictions and chaotic conditions. Shannon is also available for modelling and acting assignments, as well as VIP party hostessing and convention booth staffing. References, resume' or portfolio available on request. Call or text for an appointment to discuss your needs: (512) 619-8647. Make Your Skin Look Younger! Let Shannon Young relax those frown lines with a relaxing facial! A licensed esthetician, she'll smooth out all the details to make your face and body look as outstanding as your hair and outfit! When you FEEL beautiful, you LOOK beautiful! Austin, the capitol city of the state of Texas, best party city & music capitol of the world, home of the largest public university in the country, home of Michael Dell, Lance Armstrong, among many others notables, & home of Austin City Limits (the show & the festival) & SXSW, also has the distinction of being the second home to an enormous population of Mexican Freetail bats. In late February, when it begins heating up down south in Mexico, they migrate north to more hospitable climes like Austin,where they thrive under the Congress Avenue Bridge. It's estimated that they rid the city of at least 10,000 POUNDS of insects every night, which is why they're encouraged to live here. Now that we're enjoying cooler weather, I remembered a little piece of doggerel (batterel?) I wrote one fall day a few years ago that I'd like to share with y'all. Daylight still tops the high seventies. Night lows in high-thirties are rare but a few. The cactus and pricker weeds' growth is still strong. A bad day in Austin is still a nice day! While some folk are drinking Oktoberfest beer. You finally can send the kids outdoors to play! And then we will all know for sure it is winter. 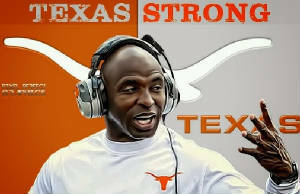 New Coach for Longhorn Football! For the Burnt Orange, Life Begins on The Drag! 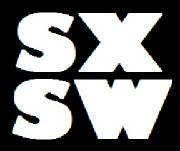 Register to attend SXSW 2013 now! The SXSW Film Festival is now accepting submissions. Apply for a chance to showcase at the 2013 Music Festival. Send in your application to the Interactive Awards. Save up to 30% when you register to attend SXSW 2013 before this Friday, November 9th. The deadline to apply to showcase is today and the last minute deadline to submit your film is November 15th. Friday also marks the deadline to enter your project into the Interactive Awards and Accelerator competitions. Check out the latest Interactive session announcements and stay tuned for big news from Music and Film at sxsw.com. Has she joined the Willie Nelson tour bus ensemble? Austin's growing bar scene is so much fun, and it pumps a lot of money into the local economy. But DWI is a serious problem that costs lives, and requires the same local economy to spend money to fund the Austin criminal justice system's efforts to keep the roads safe. Read an Op-Ed by an Austin Cab Driver. Chill out at nearby Barton Springs Pool! Eeyore's Birthday Party - 49th year April 2012? Bat Fest - August 2012? Austin Roller Derby - Texas Rollergirls & More! 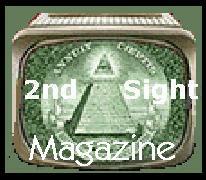 ...site is always being updated...check back for more!